Every state has its own laws and regulations governing the divorce process, so someone petitioning for divorce should discuss his or her case with a local divorce lawyer. In Texas, a couple can only petition for divorce if at least one of the spouses has been a resident of the state for a continuous six-month time period. A family law attorney in the Woodlands will also advise the couple that one of the spouses must have been a resident of the county it wishes to file for at least 90 days. Usually, a Texas divorce case begins with one spouse filing an Original Petition for Divorce with the court and then personally serving the papers upon the other spouse. However, the other spouse may also sign a waiver to give up the right to be personally served with the papers. Thereafter, they begin the discovery process. Spouses may also discuss the settlement of their case directly or with the help of an attorney. If the parties cannot agree on all the issues of their divorce case, then the court will likely set a trial date. How long does it take to finalize? In Texas, it takes a minimum 60 days after the petition is filed for the divorce to become final. As a part of this process, the judge will pronounce the divorce final in open court and sign the divorce decree. If the spouses do not agree, it will likely take around six months to a year to finalize, depending on the complexities of the case. A Texas family law firm understands that courts initially presume that all property earned or acquired by either spouse during the marriage becomes community property. Separate property consists of property, brought into the marriage, and may also refer to any property acquired by just one spouse as a gift or through inheritance. 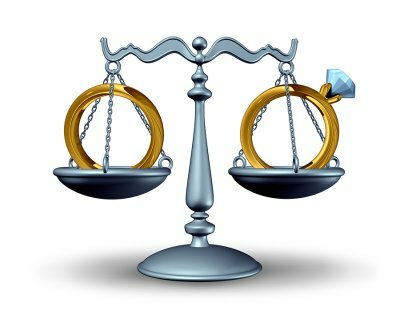 Even though courts usually split property equally, factors such as unequal earning power and fault in the marital relationship can influence how a court divides the property. A probate court in the Woodlands handles the legal process that occurs once someone dies, including appraising the deceased person’s property and distributing property according to the will. Probate usually involves court appearances by a probate lawyer, who receives compensation from estate property. The process begins when the person named as executor to the will, or a person appointed by a judge, files paperwork with the local probate court. During this time, the executor to the will must find, secure, and manage assets throughout the probate process, which can take several months to a year. Depending on the amount of the deceased’s debts, the executor may talk to a probate attorney about selling the real estate, securities, or property. In most states, family members can ask the court to release short-term funds during the proceedings to pay for necessary expenses. The court can then grant the executor permission to pay the debts and taxes before dividing the remainder according to the will. The last step of the probate process is transferring the property ownership to the new property owners. According to an AARP survey , two out of every five Americans over the age of 45 haven’t written a will. While many Americans may avoid this process because it entails actively planning for their demise, creating a will is one of the most important ways to plan for loved ones. Working with a probate and will attorney in the Woodlands allows someone to put his or her wishes on paper and help his or her heirs avoid unnecessary legal hassles. 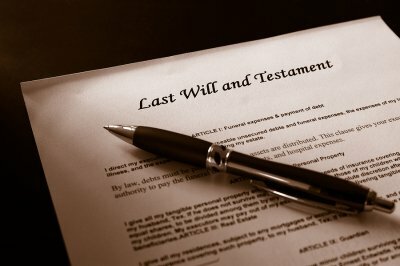 A will is a legal document in which someone declares how and who will manage his or her estate after death. This estate can consist of big, expensive items like a vacation home as well as smaller items that hold sentimental value, like family photos. The person appointed to manage the estate is called the executor, as he or she is tasked with executing the testator’s wishes. However, there are certain types of property, like retirement accounts, that aren’t covered by wills. In such cases, the testator should discuss how to transfer ownership in this property with a will attorney. Creating a will also overlaps with other family law areas, as the testator can declare who will become guardian to his or her dependents in the will. Contacting a law firm is not required to create a will. However, an experienced will lawyer provides useful advice on estate-planning strategies, such as how to create a living trust within a will. Whether someone decides to create his or her own will, or seeks the advice of a lawyer, he or she needs to consider all essential estate-planning documents. Indeed, this is a great time to research financial and health care powers of attorney. Should you create a joint will? Will lawyers and estate planners tend to advise against joint wills. In fact, some states don’t even recognize them as legally valid. The problem in joint wills is that it is rare for both spouses to die at the same time. Additionally, many couples have property that is not jointly owned. Even though a couple’s separate wills may look similar, it’s recommended to just create separate legal documents. A number of states provide for fault-based divorce grounds. This means that a spouse and his or her divorce lawyer in The Woodlands can claim the other spouse was at fault for the end of the marriage. Common grounds for fault divorce claims include adultery, cruelty, and abandonment. In this video, a family law attorney explains the difference between filing a fault and no fault divorce petition. As he explains, someone only needs to allege the irretrievable breakdown of marriage or irreconcilable differences in a no-fault divorce claim. No-fault divorce empowers a couple to end their marriage if they desire without citing a legal reason. No-fault divorce represents a modern trend in family law. Even if the petitioned spouse doesn’t wish to divorce, he or she cannot object to the divorce proceedings. In traditional fault divorce cases, the petitioned spouse could object to the grounds for divorce.